On March 15, 2015, four GEP students took a tour of the West Wing of the White House. The tour included the Rose Garden, Cabinet Room, Roosevelt Room, Oval Office, and the Press Briefing Room (pictured). 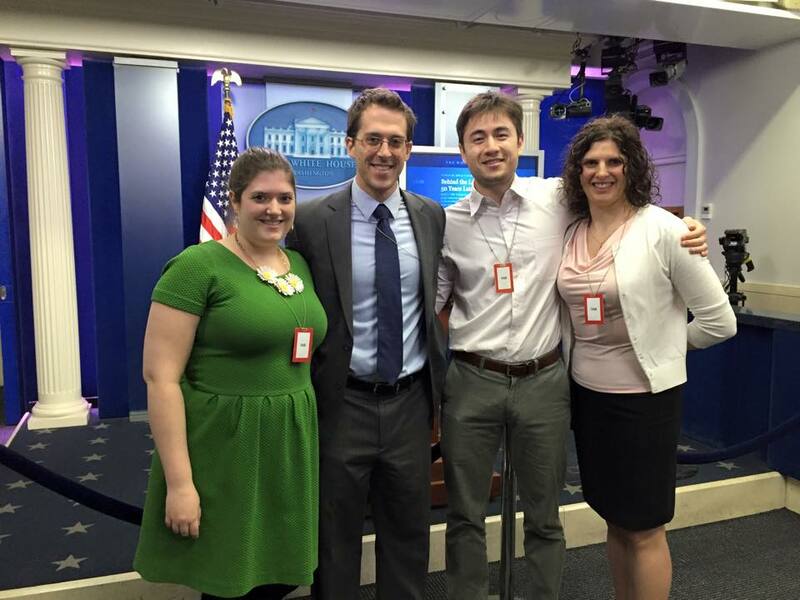 Chris Ververis was an intern in Spring 2015 for the White House Council on Environmental Quality, Office of Public Engagement, and had the opportunity to invite a few other other students on a rare tour of the West Wing. They also took a tour of the East Wing of the White House the day before. One of the most valuable aspects of being in grad school in DC is the opportunity to pursue work, internships, and experiences like this throughout the year. More publicly available info about the tours found here.